Peacefully at Campbellford Memorial Hospital on Sunday January 27th, 2019 in her 84th year. Beloved wife of the late Norman Mutton. Loving mother of Philip Mutton (Barbara) and Barry Mutton (Carole). Dear grandmother of Laurie (Craig), Sheila, Heather (Chris), Sarah, Jessica, Tyler (Katelyn). 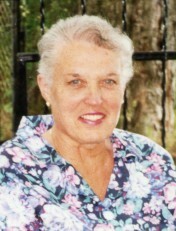 Shirley is pre-deceased by her sister Winnie McDonald. Friends are invited to call at the MacCoubrey Funeral Home, 11 King Street West, Colborne on Sunday February 3rd from 1-4 pm and Monday February 4th from 11 am – 12 noon at Eden United Church, followed by a funeral service at 12 noon. Interment in the spring in Shiloh Cemetery. If desired donations may be made to Shiloh Cemetery. Condolences received at www.MacCoubrey.com.